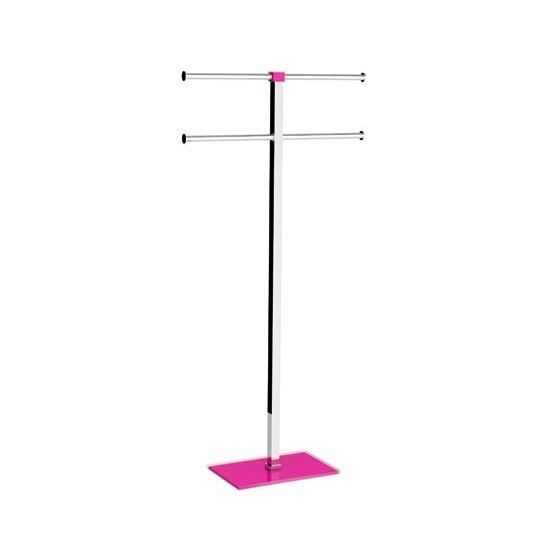 A floor standing contemporary free standing towel bar that is made in steel and resin and coated in white, green, blue, red, black, orange, grey, pink, or lilac. Part of the Rainbow collection by Gedy, this designer-quality towel holder is best in more modern & contemporary bathrooms. Designed by Gedy.